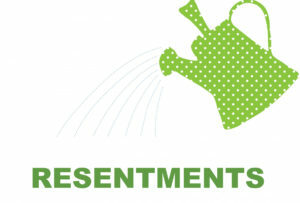 Resentment is the “number one” offender. It destroys more alcoholics than anything else. From it stem all forms of spiritual disease; for we have been not only mentally and physically ill, we have been spiritually sick. ~ World Service, Alcoholics Anonymous. The Big Book and A Study Guide of the 12 Steps. Anonymous Publishing. Kindle Edition. Resentment. The number one offender. there is a remedy for the illness of resentment. a Power able to resolve what we could not!